Hello again! We’ve made it to chapter six in Classrooms That Work! Discussed briefly in the previous chapter was incorporating subjects such as Science and Social Studies into reading. 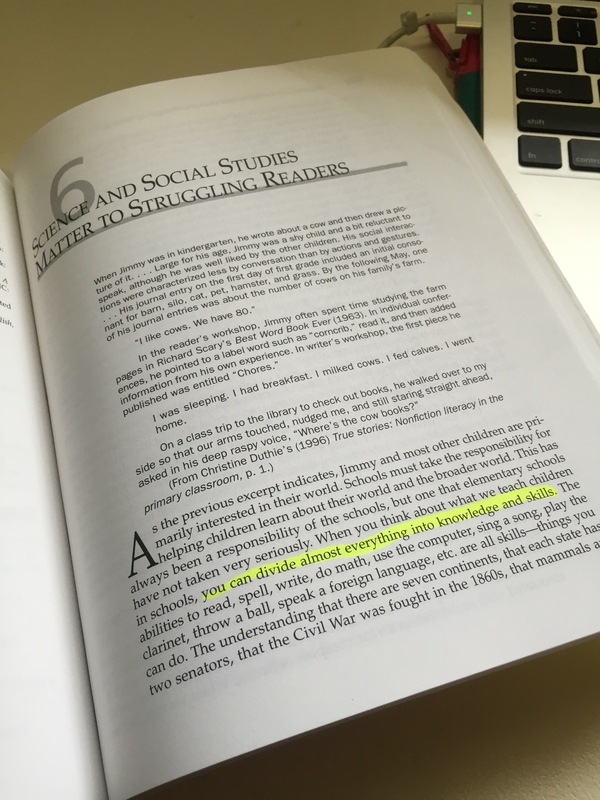 Here, our chapter is titled “Science and Social Studies Matter to Struggling Readers” and follows the path one would expect; talking about the importance of subjects other than English for struggling students. Of course, the centrepiece for the chapter comes from the fact that children are often very interested in Science and Social. They yearn for knowledge and information and simply lack reading skills. Here, we as teachers need to be creative in our teaching strategies to reach all students. Indeed, when kids have a higher desire to access more information on topics of their choosing, they are more likely to want to read and write on the subject at hand. The chapter discusses having as much hands-on learning as possible, including field trips and bringing presenters into the classroom. 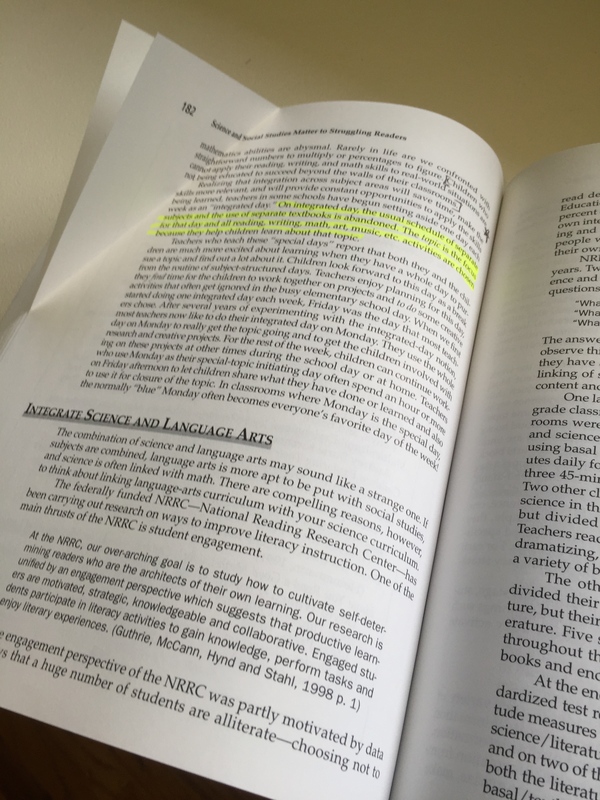 Additionally, informational texts, including newspaper articles, computer research, textbooks, encyclopedias, and other interesting materials should make up the base of instruction. These are texts kids are drawn to in their desire to learn more on topics of interest. Also an interesting suggestion is something called “integrated days”. I find this interesting as I am an advocate for doing away with rigid subjects and integrating them all. On integrated days, the book discusses dedicating the entire day to a topic of interest rather than to designated subjects. I like the idea overall and would be interested in incorporating it into the classroom. If you’re interested in looking further into the book, here’s the link to it on Amazon. We’re nearing the close now, back again in two weeks with chapter seven!